We were founded by vets, for vets. Our experience led us to create a comprehensive solution flexible enough to help any veterinary practice focus on what matters most: caring for animals. 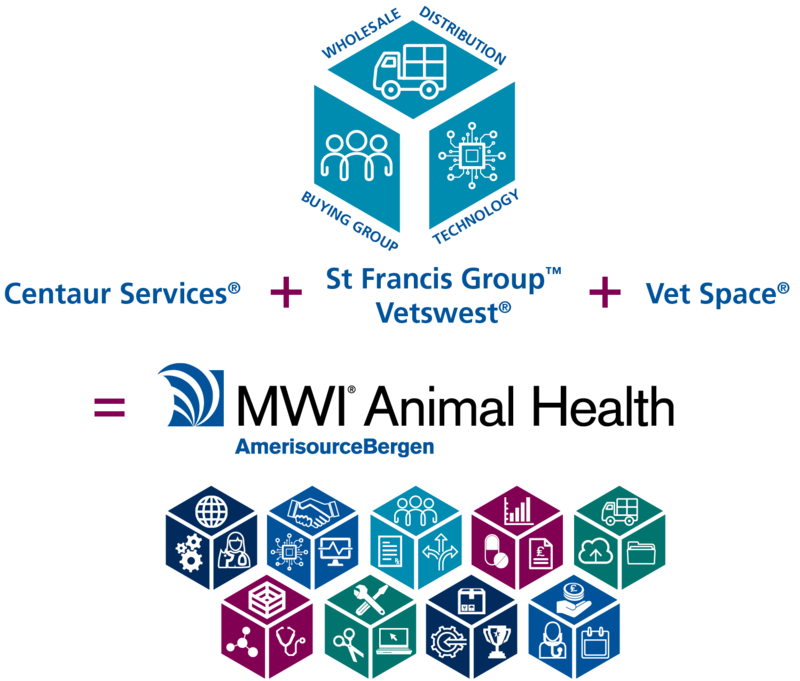 To do it, we brought together a best-in-class wholesale distributor (Centaur Services), a practice management software innovator (Vet Space), and two buying groups with relationships across the industry (St Francis Group and Vetswest). The result is MWI Animal Health.